There aren’t many places to golf inside the Seattle city limits, especially if you just want to take a few swings on the driving range. That’s what makes Interbay Golf Center one of the top places in the city to hack away. There’s not just a driving range at Interbay, there’s a nine-hole golf course and a full mini golf course as well. 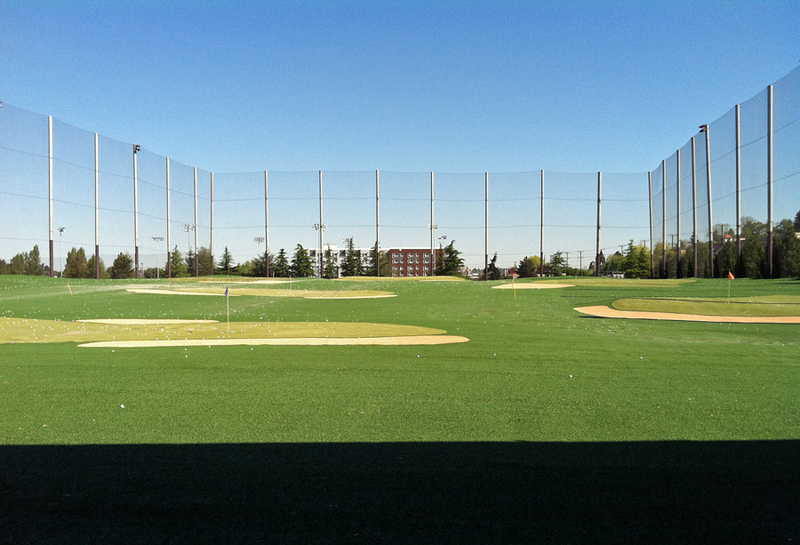 The Interbay Golf Center (2501 15th Ave W) driving range is the best — and possibly the only driving range — in Seattle. I honestly like grass driving ranges better, but you can’t be picky when you live in the city (especially if you’re not willing to trek a distance to hit balls). 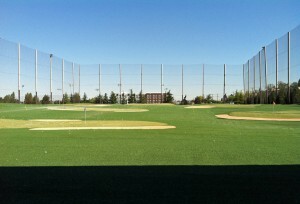 There are two levels at the Interbay Golf Center driving range, but there are a few limitations. You have to hit off mats and you can only use your driver on the bottom level, because the fenced area isn’t deep enough for big hitters on the top shelf. There are 80 covered stalls in all at the Interbay Golf Center driving range — 40 of those are heated (much-needed in the dreary Seattle months), so you can hit balls year round. Prices at the Interbay Golf Center are what you expect from a driving range these days. Buckets cost anywhere from $5 for a small bucket (34 balls) to $13 for a jumbo bucket (155 balls). I usually go with the large bucket, which gives you 102 balls for $10. You can also buy a membership/value card at Interbay Golf Center, which saves you up to $50 if you’re willing to pay $200 upfront. 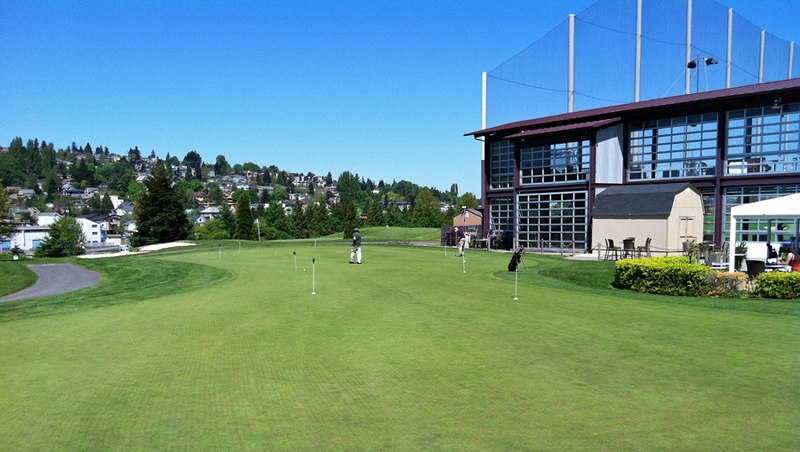 Along with a driving range, there is also a chipping and putting green at Interbay Golf Center. They have a practice sand trap, but that’s saved exclusively for instruction only. There are only a few drawbacks when it comes to the Interbay driving range, but ultimately you can work on your entire golf game all in one place. That’s not easy to find in Seattle. 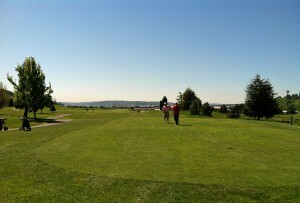 Like I mentioned, if you want to hit the links at Interbay Golf Center, you can do that as well. I played there a few years ago with my brother, but I don’t remember it that well. I’ll be sure to add a new post once I get out there for another round. I remember Interbay being a decent nine-hole public course. My brother and I were warming up for a tournament we had the following day, and Interbay served it’s purpose. Interbay Golf Center isn’t picky about its clientele. I saw a guy hitting balls in his bare feet, while most of the golfers on the nine-hole course were wearing jeans and t-shirts. In other words, there’s isn’t a strict dress code there. You can just show up (tee times are recommended), drink a few beers and have fun with your friends. As far as the Interbay mini golf course is concerned, I’ve never played there before, but it looks like it’s well maintained. I didn’t even realize they had miniature golf there until I pulled into the parking lot. Once I saw it, I immediately sent a text to Tove saying, “Holy smokes! 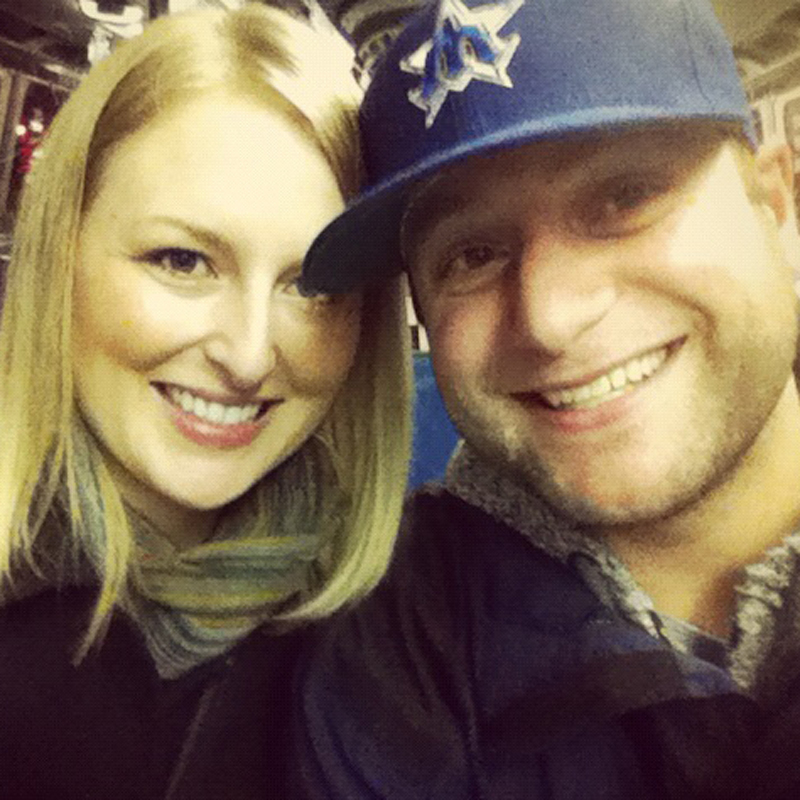 They have mini golf at Interbay!” Needless to say, we’re excited to try it out. Stay tuned for a blog post about that in the near future. UPDATE: My 10-year-old nephew and I just played miniature golf at Interbay. Click here for a full rundown on the fun! What do you think of the Interbay Golf Center? Do you like the driving range? How about the golf course? Maybe most importantly…have you played mini golf there? We’d love to hear from you! Leave a comment below or connect with us on Twitter, Facebook and Google+. Don’t forget to also check out Seattle Bloggers for more on great things to do in the city!